This week, Joel Murphy and Lars Periwinkle discuss Joel’s wedding to Molly. Lars flew out to LA to attend, so they both share their experiences. Also, the newlyweds had a surprise Joseph Campbell-esque “meeting with the mentor.” Joel explains how he and Molly ended up meeting and hanging out with Rick and Morty creator Dan Harmon. What happened to Joel and Molly’s wedding rings? 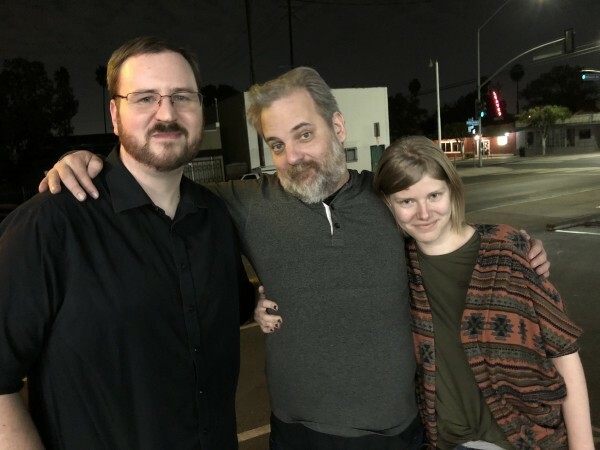 How did they meet Dan Harmon? What happens when Joel watches The Aviator? The answers to these questions and more are on this week’s show.